AVAR (Association of Anti-Virus Asia Researchers), founded in June 1998, was composed of leading anti-virus experts from China, USA, Russia, UK, Germany, Japan, Australia, India, South Korea, Hong Kong, Taiwan, Singapore, Philippines, Malaysia, Vietnam, and other countries and regions. In the past 19 years, AVAR has been playing a vital role in stemming the spread of the virus worldwide. The annual AVAR Conference has been one of the most authoritative technology exchange conferences. 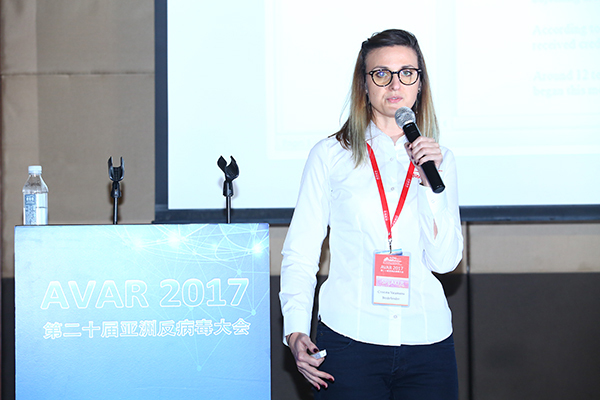 Cristina Vatamanu, a Senior Malware Researcher, presented the EHDevel toolkit, a specialized framework that was used to gather information for years in different shapes and forms. Trying to find the purpose of this framework, Cristina was able to link it to the 2013 Operation Hangover APT. For SMESEC, the conference offered the opportunity to present the cybersecurity expertise of the consortium and obtain feedback from a community of experts. The in-depth knowledge of malicious frameworks helps to design effective tools for thorough protection.